Streamline’s Less Sugar Strawberry Jam has won the condiments category in the Healthy Food Guide Food and Drink Awards 2016. Winning products were chosen for their great taste and nutritional content. 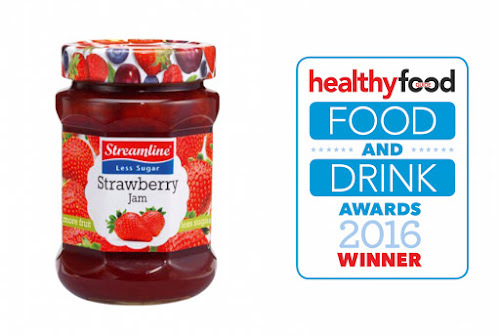 Streamline jams and marmalades are available in Sainsbury’s, the Co-op, Tesco, Ocado, Asda and Morrisons with a RRP of £1.45 for a 340g jar. The range of flavours include: strawberry, blackcurrant, apricot, black cherry, seedless raspberry, thin cut orange, thick cut orange and diced cut orange.